They are the furthest part of your body from your heart which can be a problem for circulation. They are always in contact with surfaces that can cause injury and harbor contagious fungi. They are enclosed in shoes which create a dark and moist environment that fungi love. 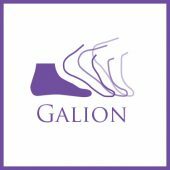 We force them into shoes that don’t always fit properly which can create friction and result in painful blisters, calluses and corns. Ulcers. Individuals with diabetes are prone to ulcers because of poor blood circulation and neuropathy, or nerve damage. A small cut or puncture wound can quickly worsen into a dangerous ulcer. 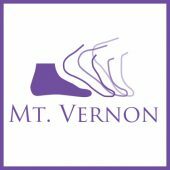 Please contact us right away if you notice a cut or sore on your foot that is not healing. Fungal infections. Fungus and bacteria love warm, dark, humid places like the inside of your shoes. Fungal infections like Athlete’s foot are easily picked up in public areas like pools and showers. Symptoms include redness, dry skin, blisters, itching and peeling. Fungal infections need professional help for complete healing. Keep fungi away by keeping your feet, socks and shoes clean and dry. Blisters. Blisters are formed when skin is repeatedly subjected to friction from shoes. Protect the blister with a clean bandage. If it pops, wash it and re-bandage. Avoid blisters by wearing well-fitting shoes with socks. Calluses and corns. These skin problems are also caused by friction when bony areas rub against footwear. Please see us for relief from these troublesome conditions. Custom-fitted orthotics can relieve and prevent calluses. Avoid over-the-counter products as these may damage healthy skin. Heel fissures. This condition, also known as cracked heels, results when the skin is too dry and dead skin cells build up on the heels. Pressure from everyday activities causes the skin to crack, sometimes very deeply and painfully. Get in the habit of moisturizing your feet regularly with a rich foot cream, then gently exfoliate with a pumice stone. 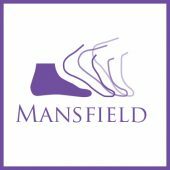 Don’t live with skin problems on your feet – we can help!